After you cook food, you put it in the fridge to keep it safe. Right? So what about yesterday's pizza that's still sitting in its box on the kitchen counter? 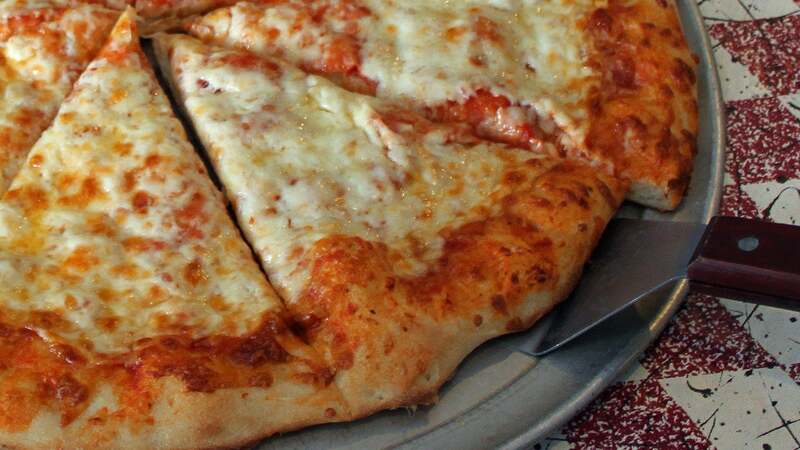 Good news: A food safety expert tells us that day-old cheese pizza is "low risk". Now, he can't guarantee that it won't kill you. But Benjamin Chapman, food safety specialist at North Carolina State University, says that people don't end up getting sick from unrefrigerated pizza often enough for it to be an issue on public health radar. Why not? "It all comes down to water activity," Chapman says. Bread and baked cheese are both too dry to be friendly to germs. Tomato sauce has some moisture, but its acidity probably keeps bacteria in check. Toppings change the calculus, though. If you order your pizza with nice juicy diced tomatoes on top, that's one that should go in the fridge. I asked Chapman about other toppings on the juicy-to-dry spectrum. Pepperoni is fine (it's often sold at room temperature, anyway) but what about capsicum? Buffalo chicken? They're fine if enough water got baked out of them. So how can you, average home pizza-eater, know if that's the case? Bad news: "You can't." So you're on your own for this judgement call, but it sounds as though plain and pepperoni pizzas are unlikely to kill you. Good luck if you decide to take your chances with the rest. Counter aged, room temperature pizza is where it's at! Out of the fridge, onto the electric grill for 4mins. It's amazing. Totally agree. Next day, cold from the fridge pizza...doesn't get better. I've done it. It's good. But if you have access to a sandwich grill, just give it a try. It's ok too! Pfft. Who needs food scientists to tell you these things when you can learn them through experimentation after crazy university dorm parties? This is one of those things you learn early on when it's past noon and you're starting to wake up in an unfamiliar dorm, you know you (or someone richer) ordered pizza at some point the day before, but it's all a blur of drinking and music, and now you desperately need something greasy to eat, and those half-full boxes of pepperoni/cheese scattered on the floor are probably still fine because you're a year or two either side of twenty and your gut is pretty much invincible for the next six or seven years. Your post brought back good and bad memories. Both of which caused feelings of nausea. Yay for finding out about food poisioning the hard way! Its safer from roaming cockroaches if its stored in the fridge.